ABOUT RYT200 ALCHEMY OF YOGA TEACHER TRAINING PROGRAM? 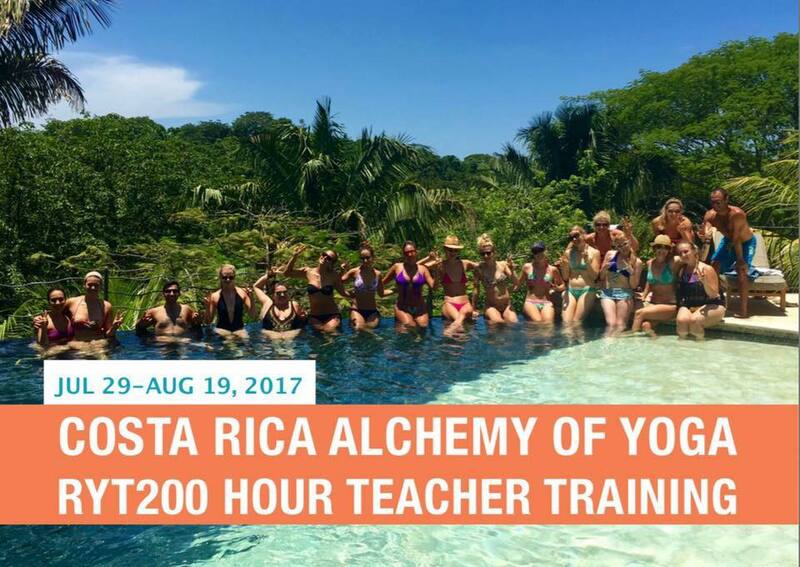 This 200 hour program is recognized by Yoga Alliance as a REGISTERED 200 HOUR YOGA SCHOOL and offers you a unique opportunity to make a deep commitment to learning more about yourself. Blue Spirit Retreat Center is a safe haven: a nurturing place to engage in open hearted self-exploration. I am devoted to offering you an atmosphere in which freedom of expression, fun, creativity and passion for life are “totally” encouraged! My program covers the foundations of the 8 limbed path of Yoga and believes in yoga as a life-long truthful celebration of ourselves and our world. 1. The first phase will focus on the fundamental principles of Yoga including an introduction to yoga philosophy (Yamas and Niyamas), history, basic Sanskrit, the implications of Ethical Behavior and living your yoga with an Ethical Code and Ecological integrity. 2. The second phase will focus on General Principles of Poses, How to Teach a Pose safely to all levels of students, The Stages of Poses, Benefits of Poses, Purpose of Poses, Ways of Sequencing using Vinyasa Krama, Sun Salutations, therapeutics, & the Art of Assisting (verbal and physical adjustments and enhancements) in an authentic, safe and generous way. 3. The third phase will focus on the art of teaching including creative sequencing in class design, developing life affirming class themes, importance of positive languaging, voice intonation, musical awareness, personal practice as laboratory and how to teach to the heart of the student. The healthy Teacher-Student relationship: understanding it and how to resolve ethical issues. 4. The fourth phase will focus on the practical skill development of apprenticeship through observing classes, assistant teaching, and Karma yoga (community service yoga offering). And personal development in respect to the Business of Yoga. I would like to take a moment to tell you more about the Registered 200 Hour Yoga Teacher Training Program. Alchemy of Yoga Teacher Training is Jedi training for the Superhero inside all of us! It is wholeheartedly dedicated to the art of self-discovery. Think of this as Happiness Training. With deep respect and honor: This program is enriched by many ancient teachings, not just yoga, it also draws from Joseph Campbell, Brene Brown, Thich Nhat Hahn, Pema Chodron, Jack Kornfield, Shamanism, Ayurvedic studies, Toltec wisdom, Mythology, and energy systems like the Chakras.